"VPN - The Importance of Having One"
Joe discusses the best way to help make our data unreadable and untraceable - by implementing VPN. Who needs to use a VPN? How do we keep the curious and the devious from seeing our activity while using the Internet? We all have critical information like passwords and account logins that we don’t want to be known, some info we consider private, or we simply don’t want anything to be seen by others because it’s nobody’s business. It’s our data, our conversations, and only those we grant permission should see that data. You may have heard that your web surfing and emails could be vulnerable to snooping. It may be easier than most people know, especially when using public Wi-Fi! 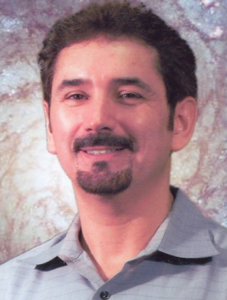 Joe Melfi is a strategic technical marketing engineer in southern California. He is experienced in the Internet of Things, the cloud, networking, industrial automation, home automation, and semiconductor solutions. He was a college instructor and a technical trainer and has traveled to companies around the world. Joe’s career includes roles as a hardware, software, and systems engineer as well as marketing manager for semiconductors, industrial, consumer, and enterprise solutions. He also worked as a college instructor and technical trainer. His cross-discipline skill set provides the opportunity to work in a large number of different technology industries and product categories, and has enabled him to travel to companies around the world. Joe is a mobile road warrior and die-hard tech enthusiast. Enjoying hands-on activities, he is a DIY builder using single board computers and home brew circuits for home automation, surveillance, imaging, computers, peripherals, storage, voip, multimedia, communications, security. Joe is also a frequent presenter at user groups and industry events, the founder of the former SoCal Asterisk & VoIP User Group, and a tech writer that publishes tutorials and reviews of products and technologies.